This project for children aged between four and eight was completed over two 45 minute sessions. The first was spent looking closely at the body markings of some iconic wild animals – giraffe, tiger, zebra, leopard and cheetah. 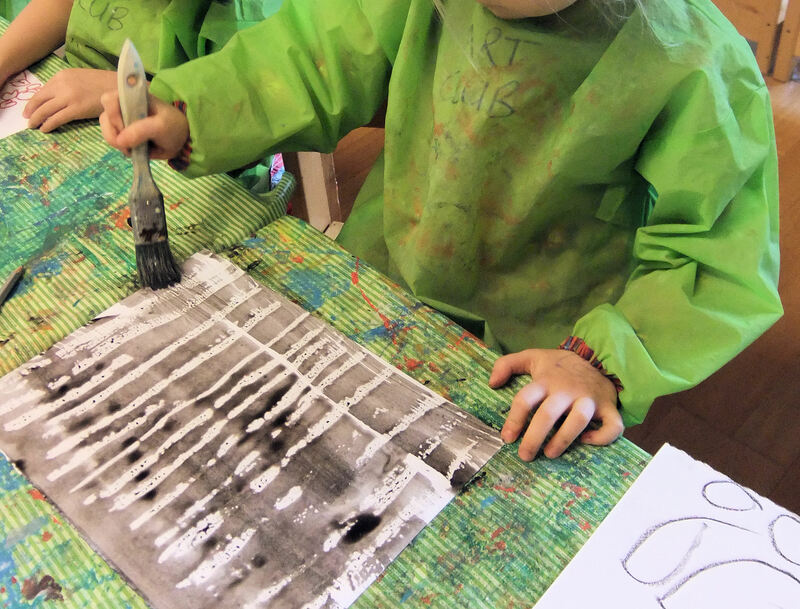 The children were asked to recreate the distinctive patterns with a combination of oil pastels and watercolour paints, making use of the ‘resist’ technique. The spots or stripes were drawn first in oil pastels and then the background or contrasting colour was added by brushing over the top with watercolours (the oil in the pastel resists the water in the paint…). Each child created up to four different animal fur patterns. 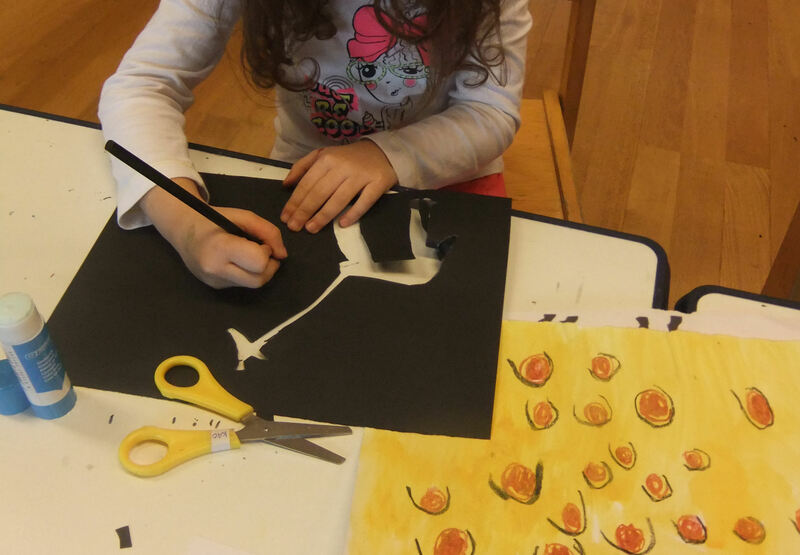 At the second session I asked the children to study photographs of each animal and then draw a simple outline on black paper, trying to capture the distinctive shapes and proportions of its body when seen in profile. This was quite a challenge for most of the children, but I think they all made a really good attempt. The final task was to glue each animal shape onto its corresponding patterned background, to create a striking silhouette effect. Hannah, you need to write a book with your unique project. I think that it would be appreciated by so many art teachers around the world!